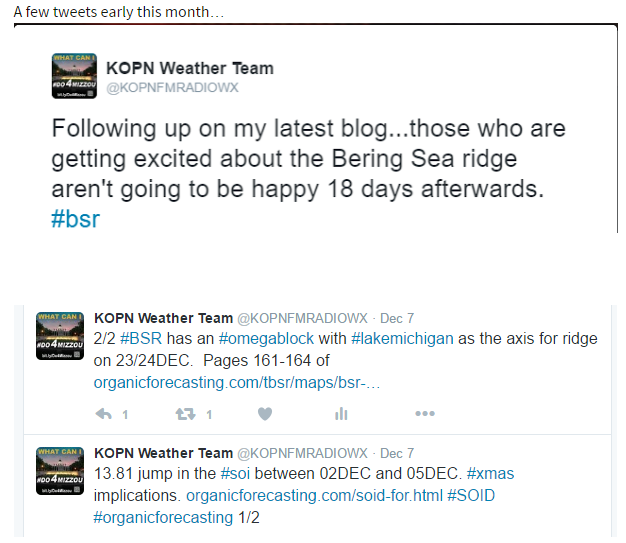 As promised, I have finally gotten around to looking at December's #bsr verification. Here is the BSR depiction, both surface and 500mb, for December 1st. The surface and 500mb of what actually happened. 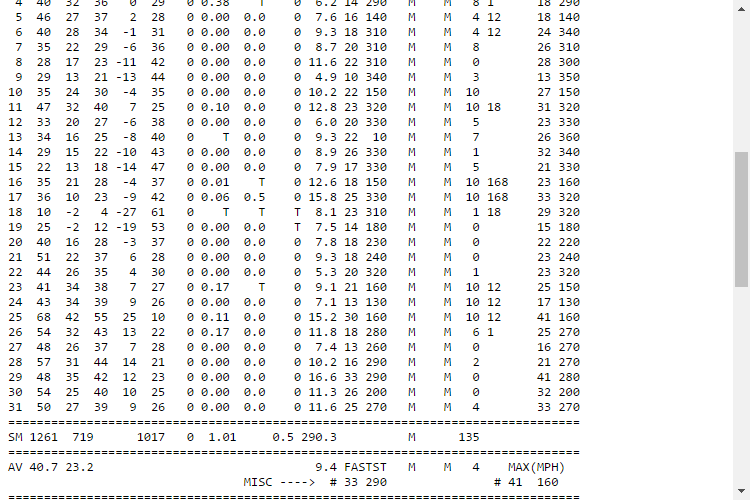 It goes without saying that for an 18 day lag time, the #bsr did very well! An occluded system off of Southern New England, three low pressure systems over the desert Southwest, and a clipper coming down the pipe in the Northern Plains. Fast forward a few days to December 6th. The BSR depicted a system in the Northern Plains with a dominate trough stretching into the Pacific Northwest aided by a dual upper level low pattern, along with a system moving into the Southeast with ridging in front. The BSR had ridging pushing up the East coast with a mean trough over the Plains and West. This did very well to start off. The BSR had a strong storm system developing in the Lower Mississippi Valley that never materialized for the CONUS which skewed the next couple of days.. The BSR had a trough focused on the Ohio Valley with ridging off the East Coast and another trough in the West. East coast didn't do too bad, but the trough for the West was too far East. The BSR had another strong system moving through the Lower Mississippi Valley to which I was warning about a severe weather event. The severe weather event that I thought would start on the 16th was delayed by a day. Ridging over the East coast did well, but the trough was too far East on the BSR maps. I would think that the lag time was a day off. Something else that the BSR keyed in on was the ULL in area of the Baja Peninsula. Early in December everyone was going nuts over the ridging in the Bering Sea which promoted a -WPO & -EPO combination and allowed the influx of cold air during the above time period. While they were doing so, I kept warning them that they won't be happy during the week of Christmas because the warmth would return with a vengeance. Anyway...off to work I go! If you have any questions email me at kopnfmradiowxATgmail.com! Also, make sure you tune in tonight for a streaming show that Dr. Lupo and I will be interviewed on regarding the #bsr and #organicforecasting!